Have you ever thought of luxurious and peaceful living away from the hustle and bustle of the city? 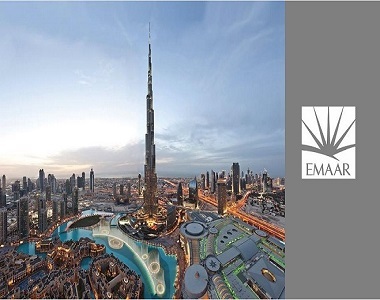 Well, Emaar Palm Premier welcomes you in the new age of living. Equipped with all the modern amenities and nestled in open green spaces, the project offers a luxurious living amidst nature. This is one of the most-awaited residential developments in Sector 77 Gurgaon offering quality living with a bundle of amenities to make the life of residents comfortable. The large master-planned community with landscaped gardens and multiple parks promises an active and healthy lifestyle. 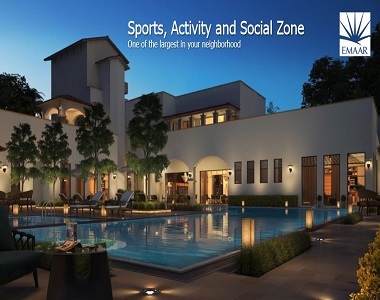 Sector 77 Gurgaon is steadily becoming the preferable investment and residential zone in the city for its infrastructure development and superb connectivity. The newly launched project is thoughtfully planned to keep in mind the basic necessities and convenience of the residents. The luxury enclave shows a very high quality of architecture and design. 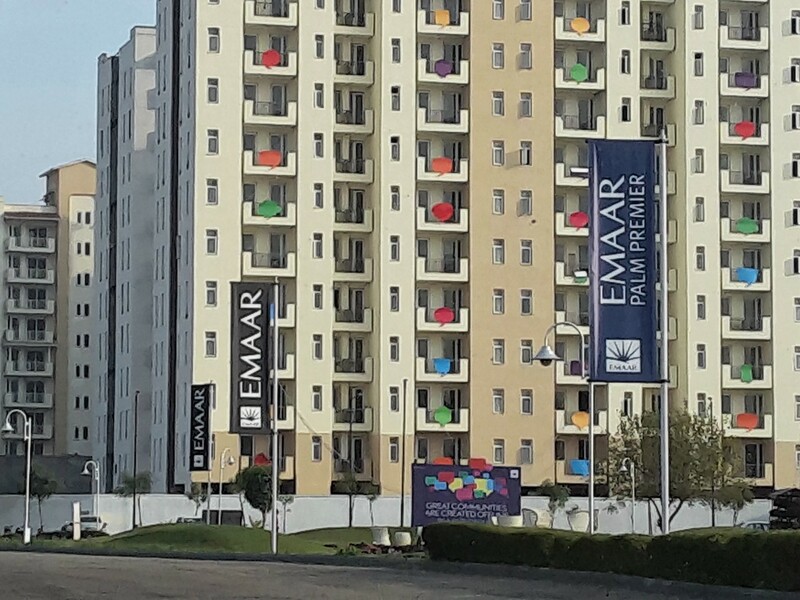 Emaar Palm Premier Sector 77 Gurgaon offers magnificent 3 BHK apartments elevating the contemporary lifestyle. The layouts are thoughtfully planned with optimum space utilization in every nook and corner. The luxury abodes offer a well-ventilated accommodation with free air-circulation and natural light in all rooms. Palm Premier by Emaar offers a kind of living that rejuvenates you and inspires you to live life at fullest. The builder understands the aesthetics of home that is why the floor plan is designed effectively to ensure privacy and security of the residents. The exclusive fittings and stylish fixtures make the homes look simply gorgeous. 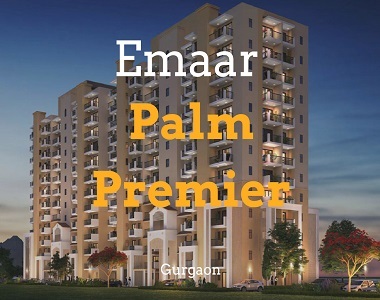 Emaar Palm Premier Gurgaon is planned on the most strategic Delhi-Mumbai Expressway in Sector 77 and enjoys seamless connectivity to all the major landmarks in and around the city. Upgraded road network, easy transportation facilities, and fast corridors define the lifestyle of people in The Millennium City. Flanked by multi-lane sector roads and national highways, the complex offers all modes of convenience to the residents. The community is well-planned and you will enjoy the bustling neighborhood when you will move to the estate. Schools for your kids are at just a few minutes distance from the complex and medical facilities are also readily available in quick time. These luxurious and ultra-modern homes are designed for high-end buyers with loads fitness and lifestyle features. There is dedicated kids’ play area, clubhouse, indoor and outdoor sports activities, and other facilities for the residents. Investors and buyers willing to invest in a luxurious and premium Property in Gurgaon must have a look at Palm Premier Sector 77. The property prices in this area are increasing with the rising demand of quality homes. So, rush to the estate and book your dream home to enjoy wide green spaces and contemporary urban lifestyle at the same time.